Nikki, should you be desirous of a click stand, I have one that I made earlier. You would be very welcome to have it as,I am hopeful that, the trike will stand up on it's own. Fortunately, we have some spares from the not-GT. Excellent! Lightweight racing poohsticks at dawn! I've bought a Hilleberg Allak as a replacement for a 1985 (ish) TN Quasar that died of flysheet proofing rot. Not arrived yet, but I've had the "on its way" phone call . Somewhere else was Alpenstock (Stockport). Email enquiring, a "not in stock, have to order from Sweden" reply more or less by return, replied saying "How long?, Feb deadline", got a reply after 2 days saying "in stock in Sweden, it will take a week or so", so I ordered by phone, and it's taken just over a week. Not only did Alpenstock actually take an interest in selling me a tent in an efficient manner, they were cheaper too. I don't know what was going on at Trekitt, but I wasn't very impressed. If they didn't want to order in from Sweden, they should have said so straight away. Earlier this year Pauline got us a Wicki Up 4 tent for our joint tours. I also used it a few times on my own and really liked it although it was a little on the large size for a solo tent. So I have treated myself to a Wicki Up 3 for my solo tours. Hopefully it will be just as good but slightly lighter and smaller. wow you certainly treated yourself well thats one hell of a tent. have a great christmas Alan give my regards to Pauline .hopefully join you sometime next year . Looks very like my Shangri-La 3. Loads of room, but the lack of a porch is a nuisance, so I prefer to use mine as a single skin, with a 3/4 bathtub groundsheet. I had a SL 3 with an oooworks inner but didn't get on with it, I had a few issues with zip placements and poor manufacture. IMO Wicki Up is a better made tent and the 4 is great but I will let you know how the 3 fairs after a few nights camping. BTW Golite have now filed for bankruptcy. Yes I saw that about Golite. My groundsheet was from Oookworks, though sadly recent reports suggest he's best avoided if you actually want to receive an item this decade. Technically not bought today but purchased and received over the Christmas period. Still umming and ahhing over sleeping mat - probably going to be a Exped Synmat UL7. Got a thermarest for mini-mekon. Hope to do a bike bivvy thing with him in the half term. I recommend some Thermawrap to make a pouch cosy with, to keep your meals warm whilst they are rehydrating/being eaten. I've been pondering extensions for the Seedhouse as the porch design is the one niggle I have with it. Have just bought a Gelert Mini Canopy - not sure how it'll play with the front of the tent, but for a fiver I reckoned it was worth a punt and possibly a bit of customisation if required! 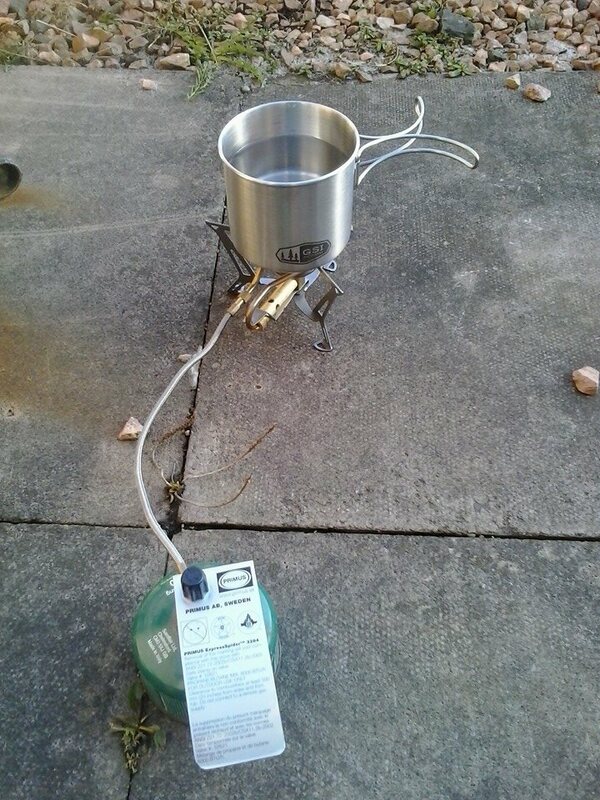 Yes, a new camping stove! I was going to go for a £20 Vango Folding Gas Stove, however I saw this one in Tiso, thought I'd treat myself to something a little more upmarket! It certainly boiled the mug of water rather quickly once I replaced the near empty ancient gas cylinder with one slightly less old but full! Nice, does it come with windsheilds and bag etc?? Doesn't come with a windshield. Has a wee storage bag. 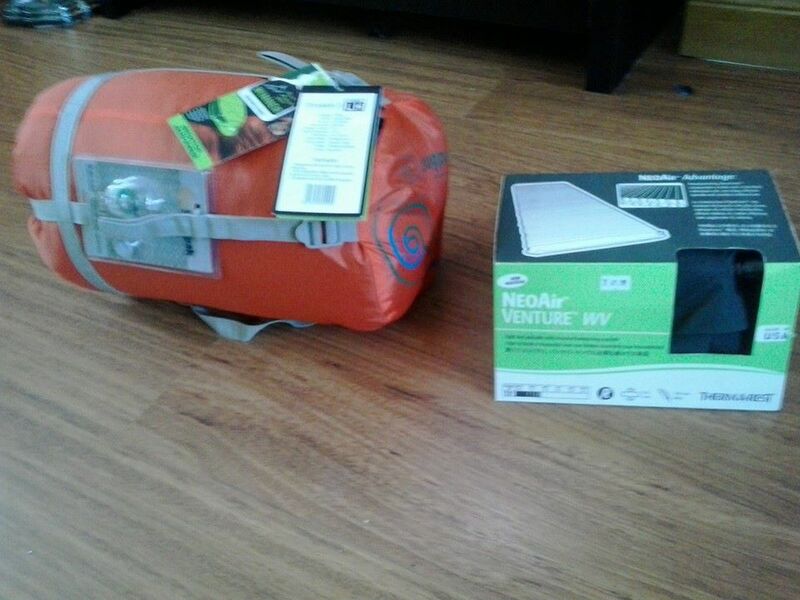 Have added a £2.50 Karrimor Folding Windsheild to my field & trek order, should be getting my new tent in a few days! Therm-a-rest Neoair Camper sleeping mat. Just going to see if I can fettle an inflater out of an old sleeping bag bag and a piece of inner tube - Too cheap to pay 25 Euros for the proper thing. A bit more camping gear today! 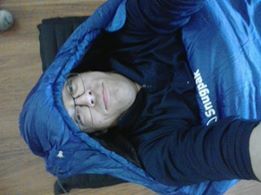 Snugpak Chrysalis 3 sleeping bag, and a Thermarest Neoair Venture mat! A new burner for my Trangia to replace the original which had split around the join.